The Tennessee State Department of Corrections is the umbrella over all the state county and private prisons; transitional and detention centers; parole, outreach and county jails. This 'umbrella' is divided into three geographic jurisdictions and includes the state's 14 state prisons such as South Central Correctional Facility, Tennessee Prison for Women, and Nashville Turney Center Industrial Complex, as well as federal facilities like the Federal Correctional Institution, Memphis. Altogether, there are 5,354 correctional officers in the state of Tennessee; the Bureau of Labor Statistics predicts that this number will increase by a steady 5% or 267 new jobs by 2022. Not included in this forecast are significant factors such as jobs opening due to retirement, attrition, and promotion. Due to this steady upward trend, the state of Tennessee is continually posting for accredited candidates who possess integrity and professionalism. To learn more about the field of corrections and how you may become involved, read on. Bethel University ranks first in our latest rankings with 213 students graduating from programs in law enforcement administration and criminal justice out of a total 2,300 students in the 2012-2013 school year. Lane College ranks 2nd in our rankings with thirty-nine students graduating from programs in criminal justice out of a total 562 graduates from the 2012-2013 school year. Walters State Community College ranks 3rd in our rankings with 168 students completing programs in criminal justice out of a total 3,878 students in the 2012-2013 school year. Remington College-Memphis Campus ranks fourth in our latest rankings with forty-two students graduating from programs in law enforcement administration out of a total 1,022 graduates. Cleveland State Community College ranks 5th in our latest rankings with sixty-seven students graduating from programs in criminal justice out of a total two thousand students from the 2012-2013 school year. Le Moyne-Owen College ranks 6th in our latest rankings with 8 students completing programs in criminal justice out of a total 250 graduates in the 2012-2013 school year. Volunteer State Community College ranks 7th in our latest rankings with 64 students graduating from programs in criminal justice out of a total 2,418 students in the 2012-2013 school year. Martin Methodist College ranks eighth in our rankings with nine students graduating from programs in law enforcement administration out of a total 360 students from the 2012-2013 school year. Austin Peay State University ranks 9th in our rankings with 97 students completing programs in law enforcement administration out of a total four thousand students. 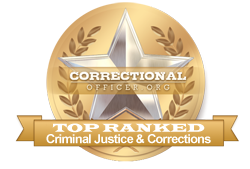 Hiwassee College ranks tenth in our rankings with 2 students completing programs in corrections out of a total 90 graduates. Candidates who pass the assessment portion of the hiring process will be shortlisted and contacted by the DOC's Human Resources staff as positions throughout the state become available. Upon hire, corrections officers must attend and pass specialized hands-on training at the state's training academy to be prepared for the rigors of working in a corrections environment. Candidates who fail this final portion of the hiring process are welcome to reapply at a later time. One of the ways that the state of Tennessee serves and support correctional officers is with strong growth and competitive salaries throughout the state. As such, the median income for front-line correctional officers throughout the state is currently much lower at $28,700 than the national median income at $39,800. However, professional development can remediate this gap. According to the occupational profile for the state of Tennessee found at http://www.careerinfonet.org/occ_rep.asp?next=occ_rep&Level=&optstatus=011000000&jobfam=33&id=1&nodeid=2&soccode=333012&menuMode=&stfips=47&x=48&y=8 and published by CareerInfoNet.org, state and national trends predict a 22% and 5% increase in correctional officer jobs by 2022 respectively, indicating that state job growth is very rapid. For residents of Tennessee, this rate translates into 380 job openings per year. The table below lists career information organized by the BLS for correctional officers in Tennessee. The table is sorted by total employment, with the largest metropolitan areas listed first.